November 23, 1963: A day that changed the world forever. That day saw the broadcast debut of Doctor Who, which was to become the longest-running science fiction series on television. As a big Doctor Who fan, I was thrilled to see this title come up on NetGalley, and on the whole it was an enjoyable read. 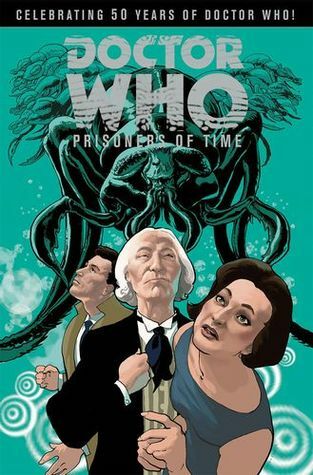 This first volume centres on the first three doctors, providing a short story for each and ending on a cliff-hanger, which will no doubt be picked up in volume two. The look of the book is great, but I had difficulty reading it as the DRM didn't allow me to open the file with Acrobat Reader and I therefore couldn't zoom in to easily read the text, meaning I had to squint to make out the dialogue. But that aside, it was good fun and I hope I'll get chance to read the next volume, too.